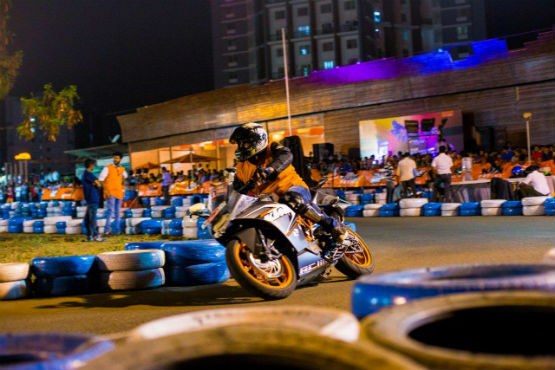 Track-days are a fun way to engage with your existing customers, and KTM, a company that has racing deeply embedded into their DNA, have done exactly that with their Orange Day effort. This was the seventh edition of the Orange Day held in Pune and similar track events are held in metropolitan cities like Delhi, Bengaluru, Hyderabad, Kolkata, Chennai, Mumbai, and Kochi. 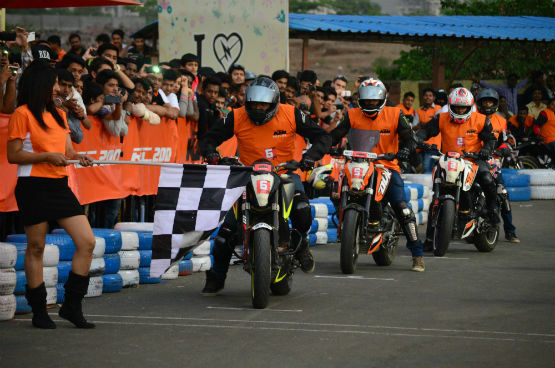 The event was open to participants astride Duke 200s and RC 200s. The 390 twins were not allowed to participate so as to make it a fair proving ground. The participants were required to register and separate races were held for RC 200 and Duke 200. After registration, a classroom briefing was held to educate the riders about the track. Varad More, a veteran rider, was the track instructor during the demo laps and informed the participants of the apices and optimum trajectories around the track. A total of 61 participants comprised 49 Duke 200 riders and 12 RC 200 riders. 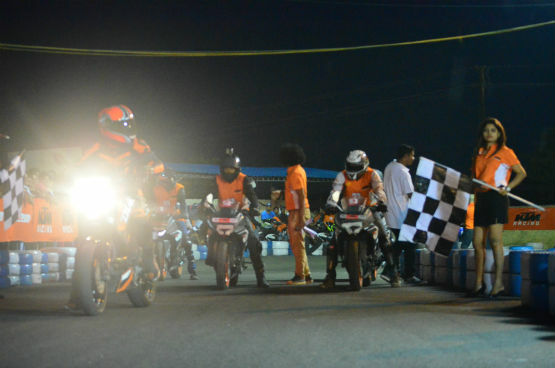 After the multiple rounds, finalists in each round qualified to the final race. Having qualified for the final round, we finished fourth, a position shy of the podium. Following this the podium ceremony was held wherein the winners were awarded KTM Powerparts and Powerwear. 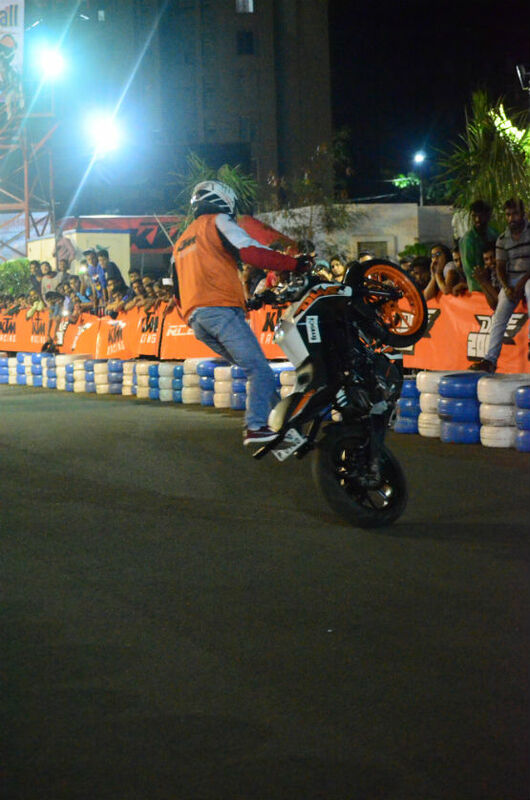 The evening culminated with a stunt show that had the crowd highly excited with every wheelie and stoppie. In addition to the Orange Days, we would love to watch KTM organise a one-make championship similar to the Honda one-make championship held under the aegis of FMSCI. Bike India Team – who has written 925 posts on Bike India.